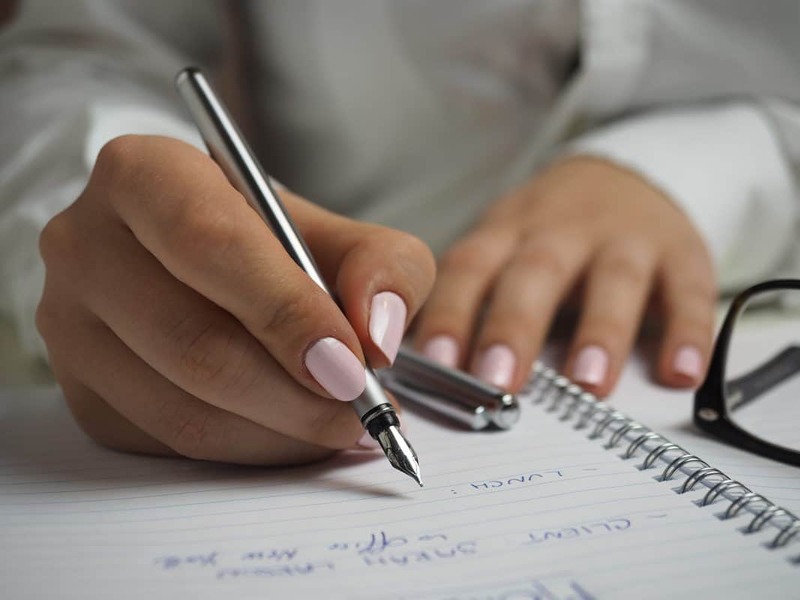 Want to set yourself up for a healthy and stress-free week? Who doesn’t? Meal prepping allows you to make sure you are eating healthy and not stressing about the next meal. It’s already done! Beginner meal prepping could not be simpler and I do not know why I didn’t start earlier. 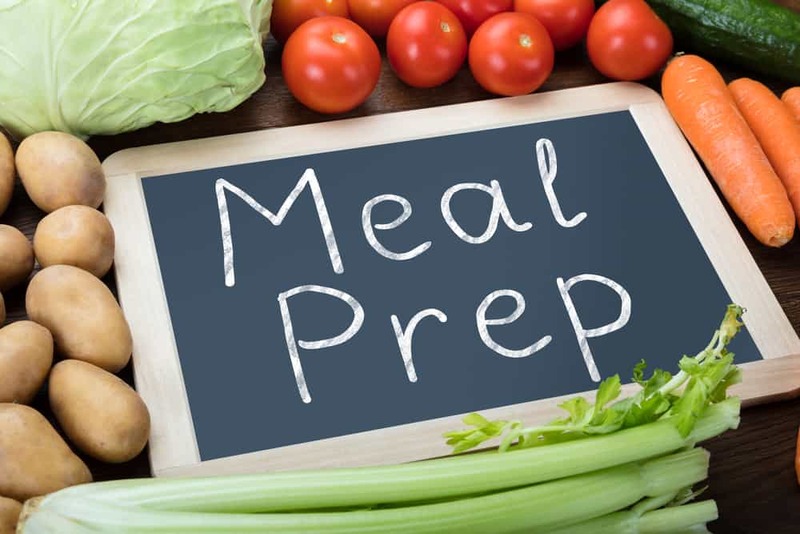 This article will help you get started with beginner meal prepping ideas and provide you with everything you need to know. If your looking for a cheap and effective way to stay meal prepping it’s worth looking into $5 Meal Plan. 10. Container Up and Enjoy! What is a hack you use to make meal prepping easier? 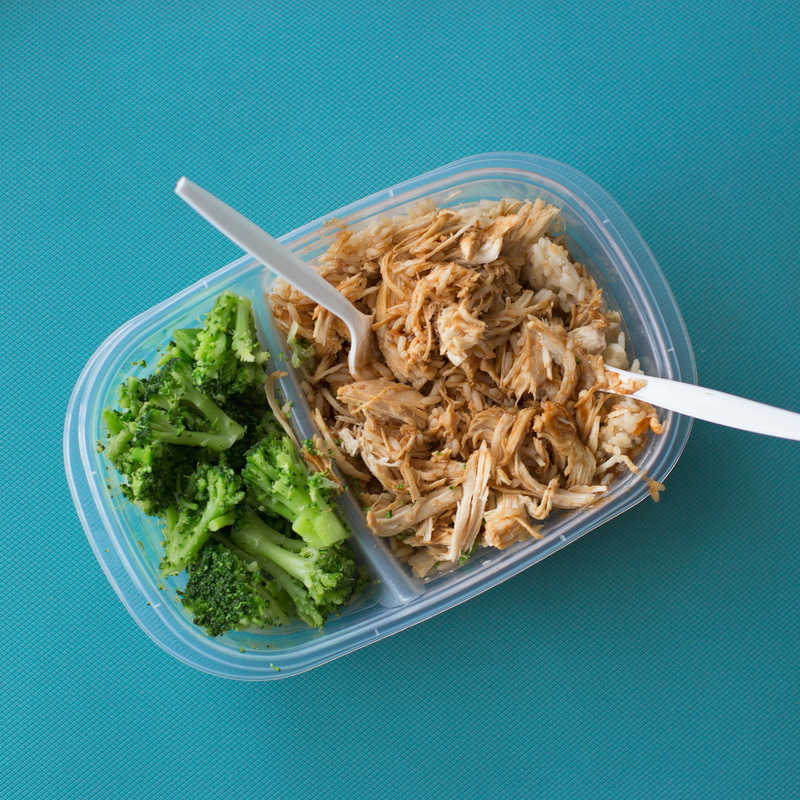 Before you can even think about the food portion of meal prepping, you need to make sure you will have proper storage containers to keep all of your hard work fresh. This set on Amazon is a great starter kit for beginner meal prepping. You can use them in the freezer, refrigerator, and dishwasher! 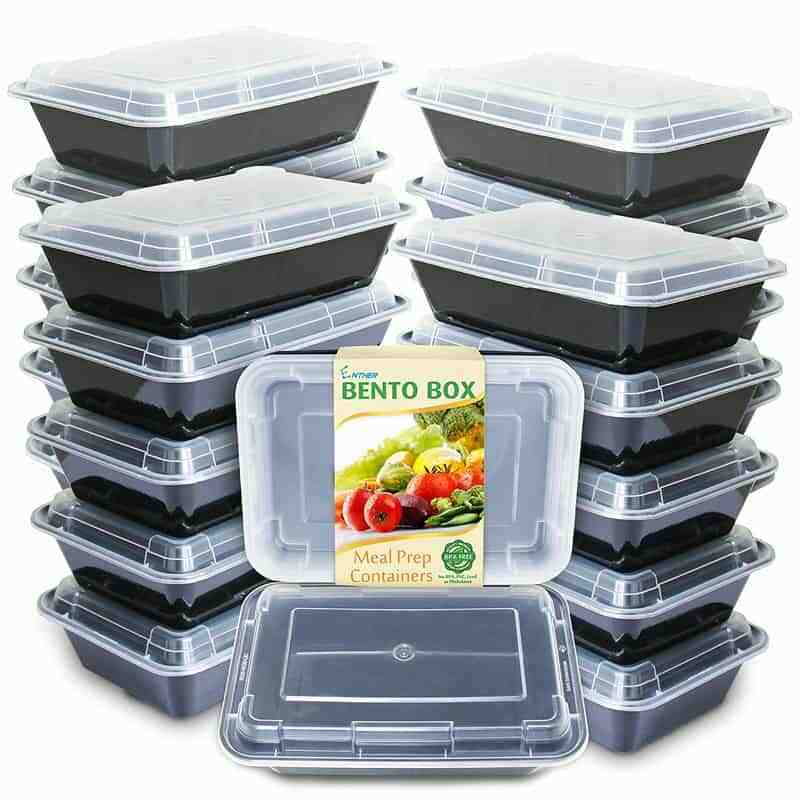 If you do not want to spend the money for quality meal prep containers, there are other options. 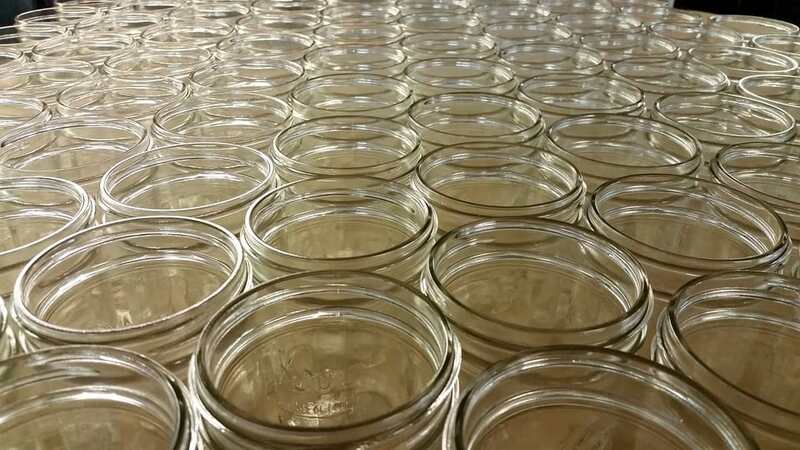 You can pick up mason jars at your local thrift shop. As long as it has the top, you will be good to go! Another option is to use Tupperware containers you already have. That’s what I did, savvy! Plan out your shopping list, take it meal by meal. Stick to your list and don’t go rogue! I found a weekly template online and I printed it off. I placed it in a plastic sleeve to re-use week after week with a dry erase marker. If you are a beginner meal prepper, you might want to buy frozen or canned fruits and vegetables. They still hold the same nutritional value as fresh and make it simple to put meals together. 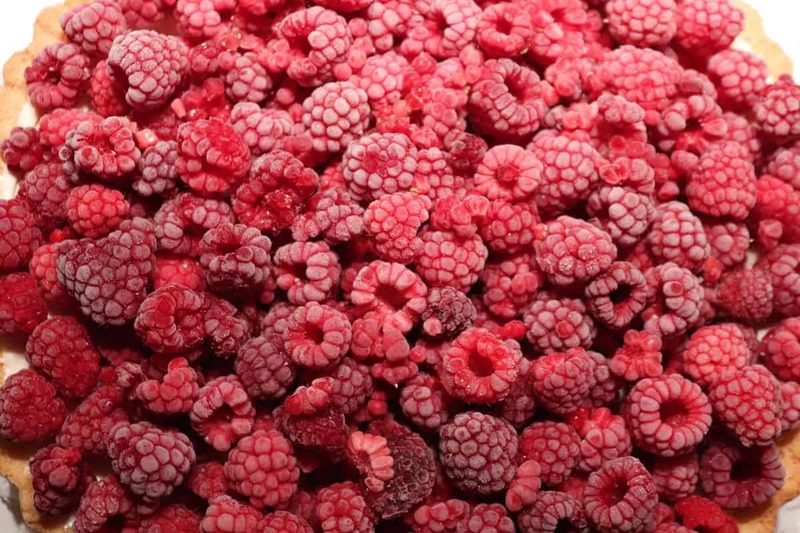 Frozen and canned fruits and veggies are normally priced pretty low compared to fresh as well. Healthy smoothies are one of our favorite meal replacements because they are super yummy and so easy to make. If you do not wash your produce before you consume it, that is a serious issue. Produce travels from far away places before it ends up in your grocery store. Many diseases can travel on the food along with dirt. You want to take the extra time cleaning it to keep you safe. Whether the recipes you chose have broccoli for every vegetable side or you are going to mix it up each meal, you are going to want to portion out your vegetables. Meal prepping allows you to cook all your vegetables ahead of time and then properly portion them into individual meal containers. This way you are not wasting food by throwing out rotten vegetables you never got to. 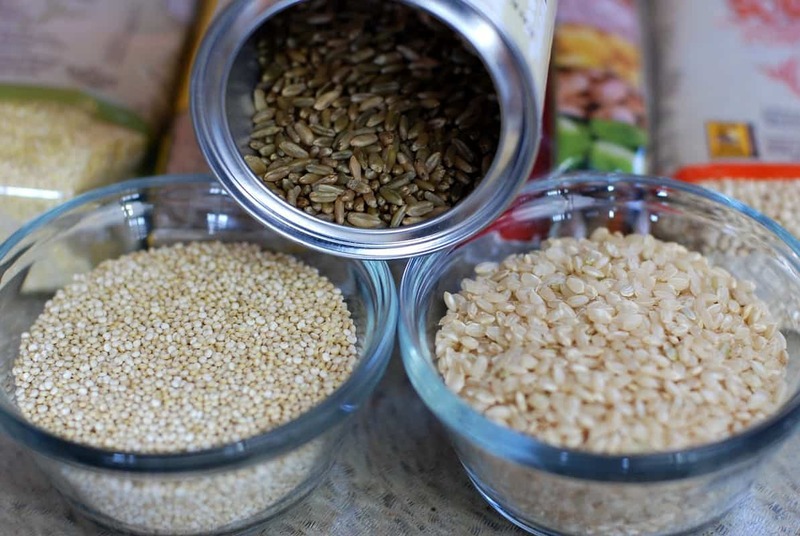 Similar to your vegetables, you want to cook all your grains you will be using before placing into meal containers. One easy way to make this process go faster is to use the same brown rice or quinoa for every meal. Use a rice cooker or an Instant Pot to make a large batch of your grain quickly. In order to save money and get the most out of your time meal prepping, you want to be meat conscious. What I mean by that is meat is your most expensive ingredient in meal prepping. You want to get the most out of one to two meat purchases. What you do not want to do is buy a variety of proteins such as salmon, chicken, steak, ground beef, ground turkey, and shrimp. That will all add up quickly and you will be overwhelmed trying to cook it all for the week. 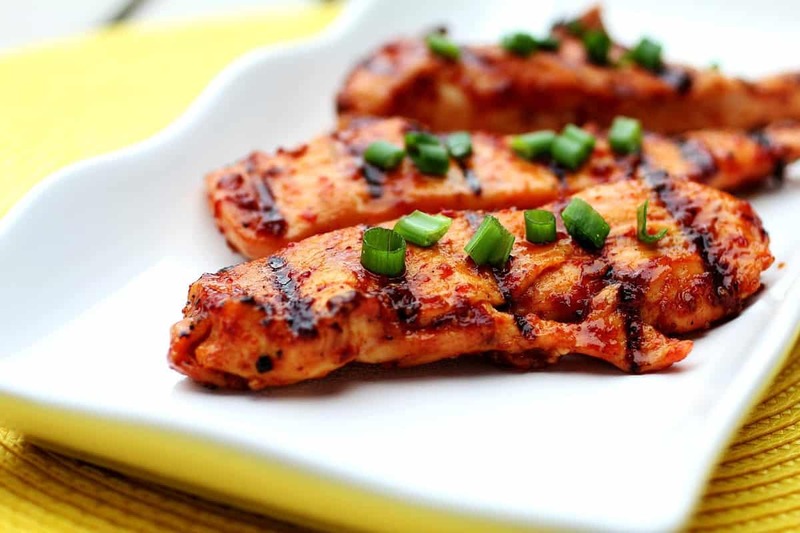 Buy a large portion of chicken you can grill for the week for both lunch and dinner. When people think of meal prepping they might be turned away because of the variety or “lack thereof”. Like I mentioned above, if you are buying the bulk chicken, find ways to spice it up for each individual container (literally). One chicken can be a Santa Fe with lime, corn and black beans. Another chicken could be a shredded BBQ chicken. The options are endless. You do not need to eat the same grilled chicken, brown rice, and broccoli for every meal. Depending on your meal, you will either want to freeze or just refrigerate your meals. 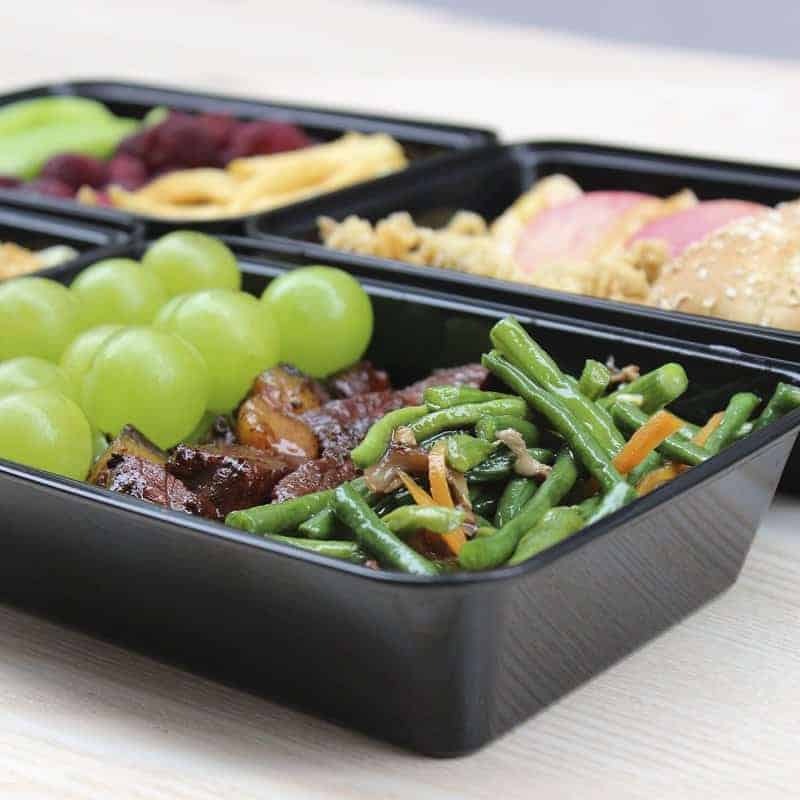 The containers make it easy to grab to bring to the office for lunch or to quickly reheat when you get home from the gym. The best part of meal prepping all week is the easy cleanup after each meal. 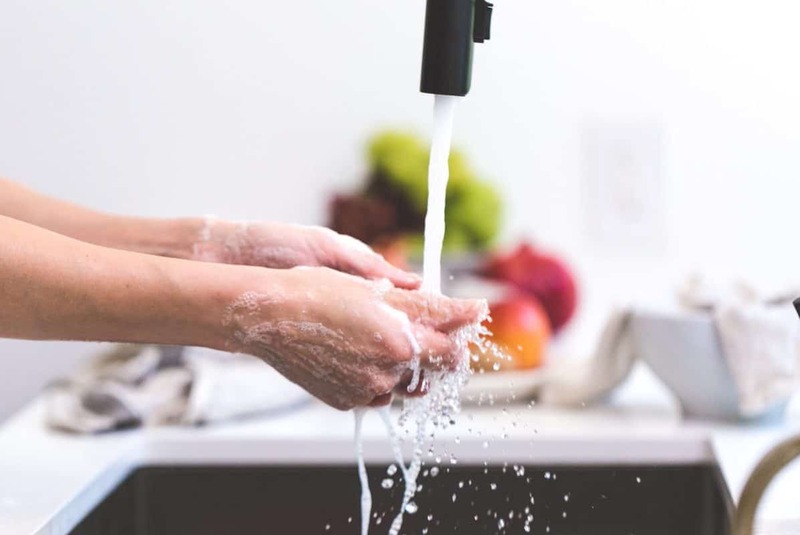 Rinse your container and place in the dishwasher. Done! I love this infographic that breaks down visually how to meal prep for weight loss. It’s really important when meal prepping to understand why you are doing it. Are you trying to save time, eat healthier, save money? It’s important when meal prepping for weight loss to always have a balanced diet. 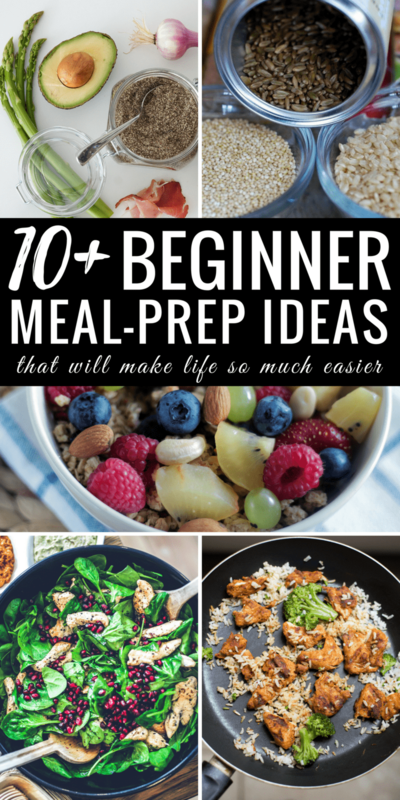 Beginner meal prepping has never been easier! 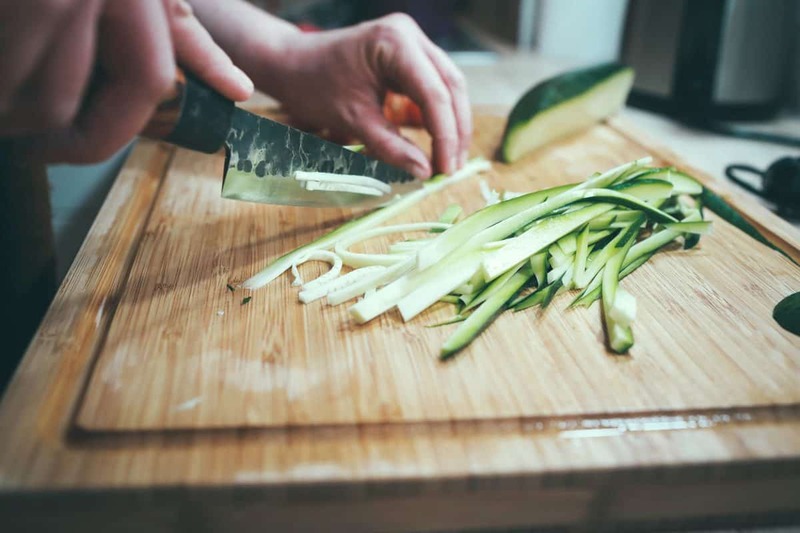 Following these 10 steps will have your weekly meals planned and cooked! I am telling you when you do it once, you see the ease it can bring to your life. In addition, you are making healthy choices by the meals you are making. When you feel good about what you are putting in your body, you will in turn keeping making healthy choices in other aspects of your life. What are you waiting for? Get Preppin’!